Great news guys! Singapore’s Universal Studios is set to reopen its popular Battlestar Galactica roller coaster ride early next year, Today Online reports. 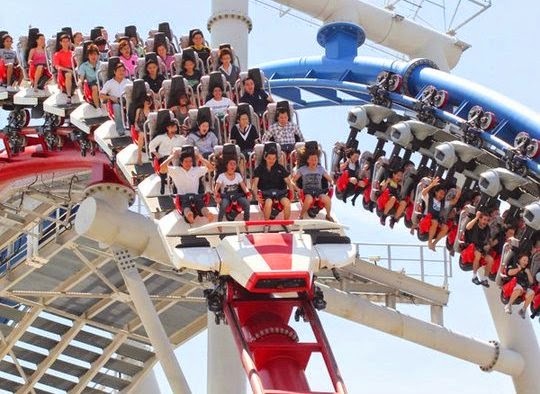 According to a press release by Resorts World Sentosa, the ride has undergone a few routine testing before it reopens and will reportedly feature a newly designed, two-seater ride which aims to “enhance the feeling of speed and thrill”. The Battlestar Galactica: Human vs. Cylon first opened in 2010 and had to close due to the design of the ride vehicles which caused stress and fatigue according to Resorts World Sentosa. The roller coaster is a ‘duelling roller coaster ride’ where one coaster is an inverted roller coaster track in blue, and the other half is a traditional seater roller coaster in red.